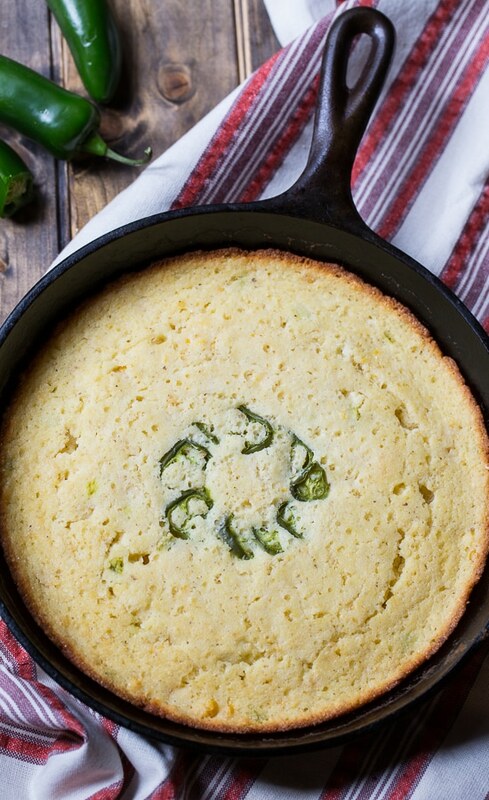 Super Moist Cornbread spiced up with pickled jalapeno peppers. Some sliced fresh jalapenos on top make it look pretty and give a hint of what’s inside. 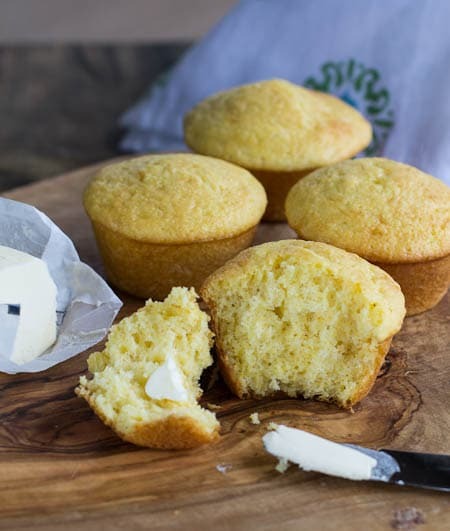 Sour cream and a can of creamed corn keep this cornbread really moist, even a day or two after baking. 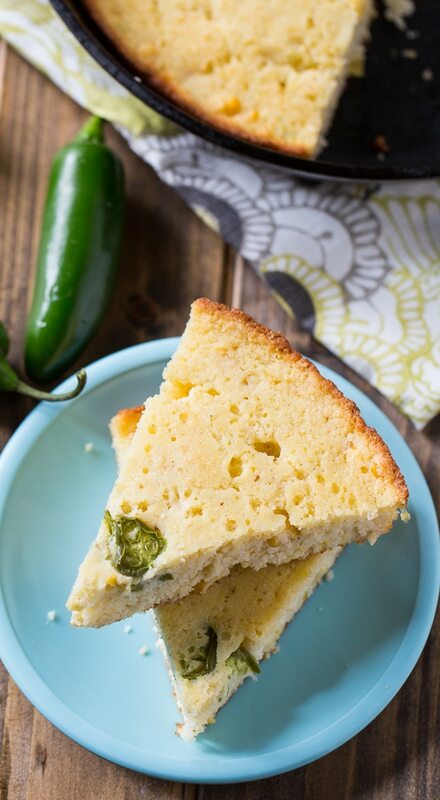 Serve Super Moist Jalapeno Cornbread with some Five Alarm Chili for a super spicy meal. I like to cook cornbread in a Cast-Iron Skillet that’s been heated in the oven before the batter is added. Cast iron helps get the exterior golden brown and a little crispy. 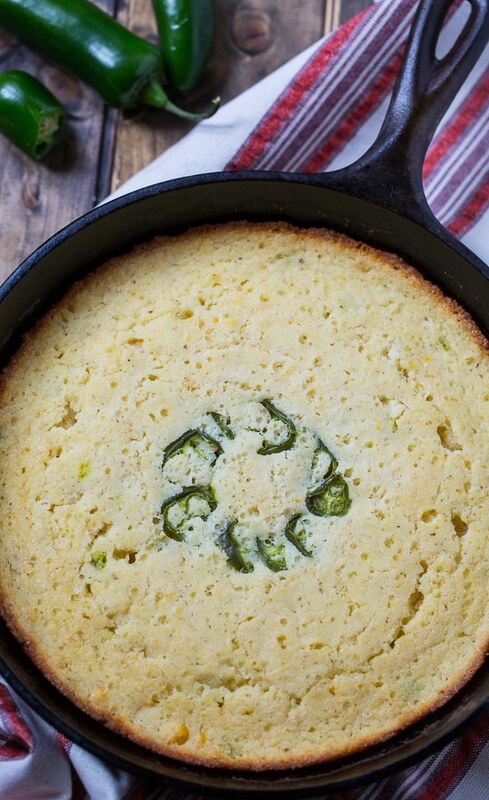 You could add some cheese and/or bacon to this cornbread to make it even more delicious. 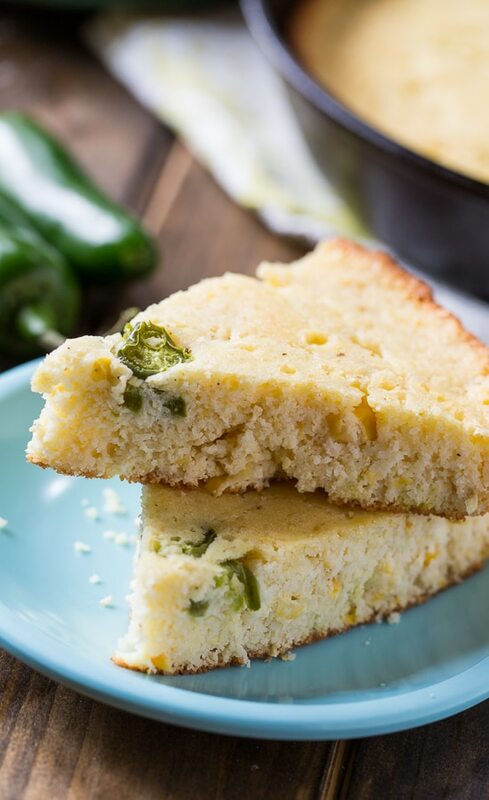 Super moist Jalapeno Cornbread stays moist for several days thanks to sour cream and a can of creamed-style corn. Place butter in a 9-inch cast iron skillet. Place in oven until butter melts, careful not to burn butter. In a medium bowl, combine sour cream, eggs, and cream-style corn. Whisk in melted butter from cast iron skillet. Stir in pickled jalapenos. 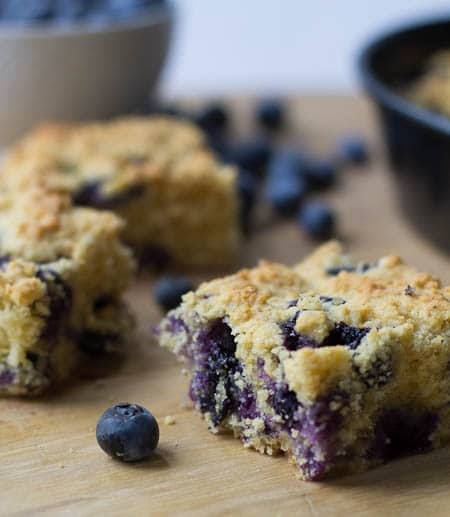 Pour batter into cast iron skillet. Arrange jalapeno slices in a circle in the middle. Bake for 30 minutes, or until golden brown. 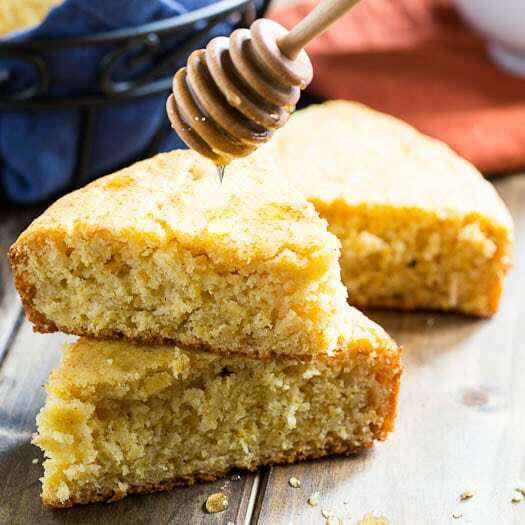 Cornbread is so easy to make and is the perfect accompaniment to any southern meal. 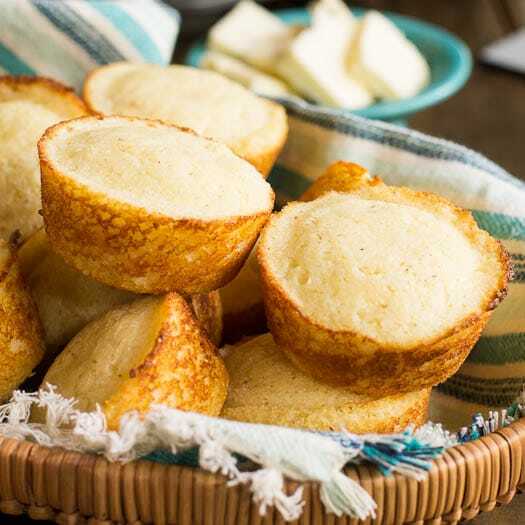 Try these other cornbread recipes. Disclosure: Spicy Southern Kitchen is an amazon.com affiliate. This post may contain affiliate links. This entry was posted in Breads and Muffins and tagged Cornbread, Jalapeno, spicy. Bookmark the permalink. 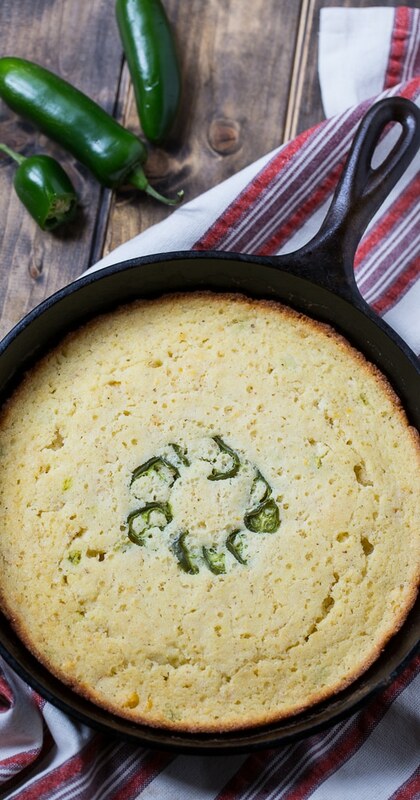 I love corn bread… this is absolutely my kinda bread especially with the pickled jalapeno and the creamed corn… simply yummmm. 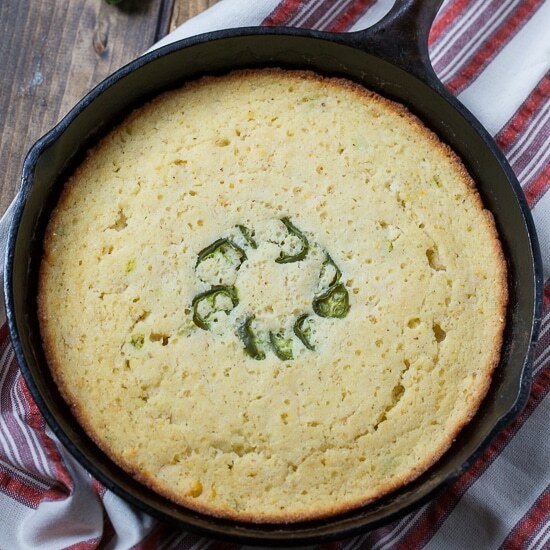 Mmmm we had soup for dinner tonight and this cornbread would have been perfect! It looks completely delicious with those pickled jalapenos! 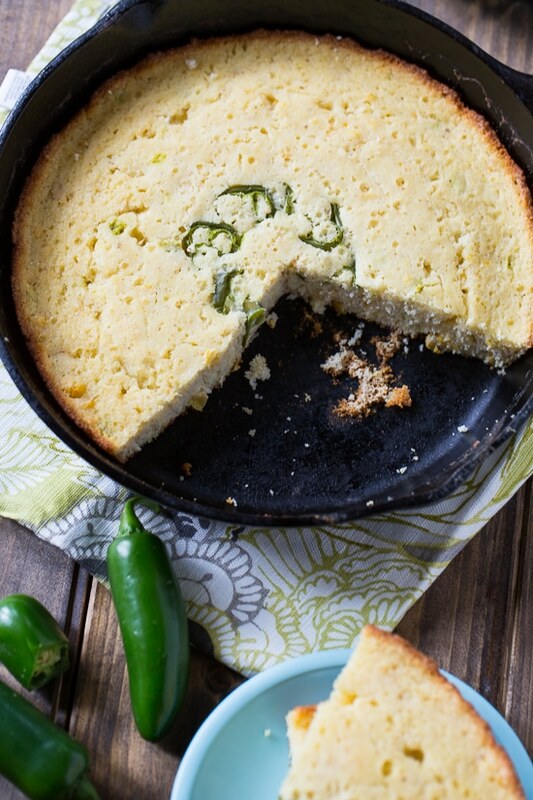 Alex would love this take on cornbread (he loves his spicy food). Adding in the cheese and bacon would really take it over the top…like we’d want to eat it every day (which I could actually eat cornbread every day). As we all know, having a heated cast iron skillet is the only way to make cornbread. 😉 Merry Christmas to you and your family!